This is an unresponsive yo-yo by SOMETHING Japan. sOMEThING for everyone! Premiere is the new ultimate plastic yo-yo. 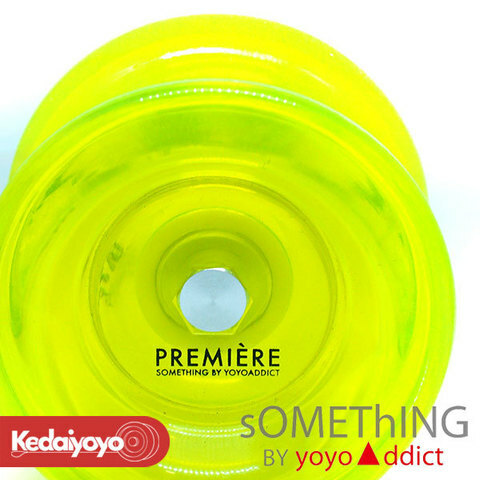 Premiere is sOMEThING's new full plastic yo-yo, fits easily in your hand and plays like a dream. 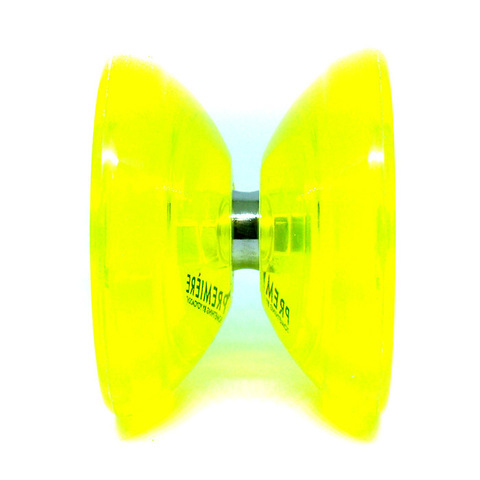 It has almost the same size and shape as the Addiction, but without the metal rim weight. Because of the material, Premiere looks related to the JetSet and JetSet EC. 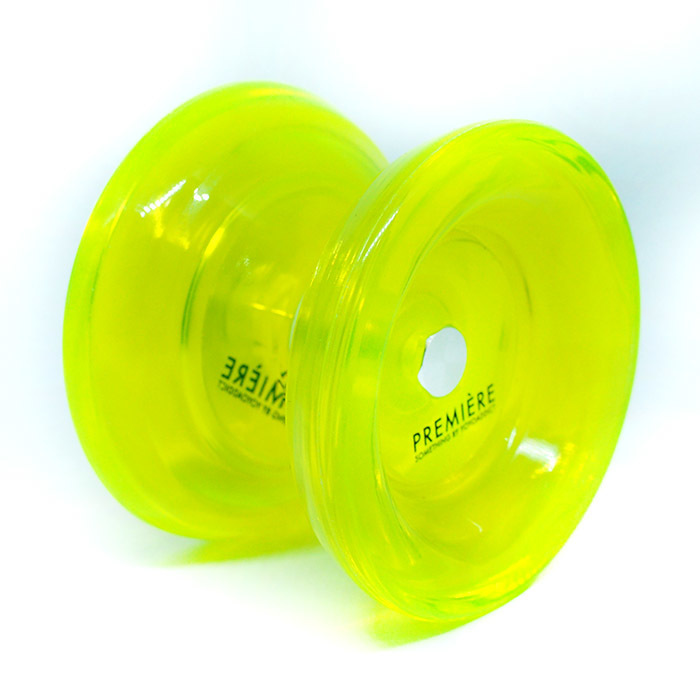 Like the JetSets, Addiction and Premiere give you the sweet contrasts of yo-yos with and without rim weights. It plays smoothly but has a real sense of power. With the beautiful design and body material, it's hard for any player to look at the Premiere without wanting one for himself (or herself!). Swap out the bearing for a size C- bearing to turn your Premiere into a tug-response yo-yo, perfect for the beginner in your life. Even as a tug-response model, Premiere has a great amount of spin and gives beginners plenty of sleep time to practice their moves.